Behind the star players and the glamour clubs that are features of every Australian Rules sporting competition are the hordes of volunteers who work tirelessly to ensure smooth running. Bernie Hughes was one such volunteer, and the Perth Football Club was a direct beneficiary. But his influence was much wider and included a 15-year term as secretary-treasurer of the WAFL Combined Past Players and Officials Association, which is an unofficial guardian of the game's traditions. But there was more. As chairman of Perth's country zoning committee during the 1970's he was a constant visitor to the felevant leagues and clubs, keeping one eye on theirwelfare and the other on promising lads whom he believed could make the grade in the Perth league side. He had remarkable success. Bernard Charles Hughes was born in Perth on January 4, 1927, to public servant Charles Hughes and his wife, Myrtle (Gillies). The family lived in the Perth Football Club's heartland in Victoria Park. That Bernie would support the Perth club was pre-ordained; his father was the club's head trainer, though he died before Bernie was a teenager. Bernie attended Christian Brothers' College Perth, and joined the RAAF towards the end of World War II. He servered six months at the Pearce airforce base north of Perth, and was discharged when hostilities ended. He first worked as a tyre fitter, before joining the Commonwealth Bank, starting a 40=year association. Bank colleagues rated him a "most efficient officer" but noted work was secondary to the great devotion he demonstrated towards the Perth Football Club. That link was formalised in 1959 when the club moved from the WACA ground to its current home at Brownes Stadium at Lathlain. After being just a supporter, he took the plunge and became a member. His life changed dramatically. There were no walk up starts for football club officials in those days. They had to earn their spurs. In Bernie's case his break came in 1962 when he became social secretary, a position he held for six years and took seriously. Even the club's annual picnic was planned with precision. First the venue had to be found, which required several Sunday family picnics to test the suitability of different locations. There were hundreds of socials, fundraisers, after-match functions and the annual ball. Eventually, this was augmented by more senior roles. 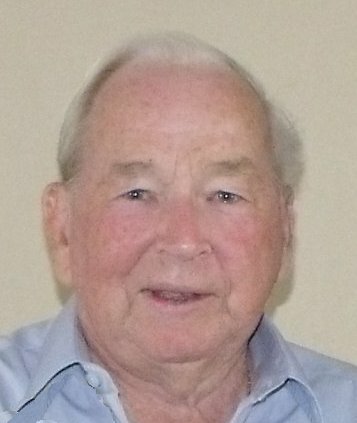 After five years on the club's committee, during which Perth enjoyed great success on the field under Mal Atwell and Barry Cable, he became a vice-president in 1970. He stood down in 1982 after another burst of prominence on the field under coach Ken Armstrong and star rover Robert Wiley. The club had notched five premierships between 1966 and 1977 when Bernie was a senior club official. Bernie then threw himself into assisting not only the Perth Football Club Past Players and Officials Association but also the WAFL Combined Past Players and Officials Association which now presents the Bernie Hughes Award to a member most prominant in promoting the interests of the Combined Association during the football season. 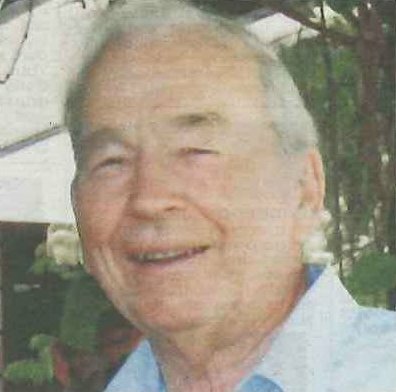 He too, received awards including life membership of the Perth Football Club and both the Perth and WAFL Combined Past Players and Officials Association which he received in 2000. In 2000 he was also awarded the Australian Sports Medal for outstanding service. Bernie was appointed as a delegate to the WAFL Combined Past Players and Officials Association in 1990 representing the Perth Football Club Past Players and Officials Association. In 1999 he was appointed Secretary of the Combined Association, a position he held until his retirement from the position at the 2008 Combined Association AGM. Bernie frequently confided that he would never have been able to devote the time to football in general, and the Perth Football Club in particular, without family co-operation. Having watched thousands of footballers, and helped recruit many of them, he was cautious about dishing out praise and accolades. "You never know when they'll let you down," he would quip. To the end, he kept a critical eye on the Perth team. Players had to perform well to earn a tick. One such occasion was at a home game in which league player Jarrod Kayler-Thomson kicked the ball in after an opposition point. He followed the ball downfield, handled it in the centre, regained possession at half-forward and booted a long goal. That made Bernie smile. Bernie Hughes fought a long battle with cancer and died in Murdoch Hospice on January 23. He was 85. He leaves his wife of 61 years, Lois Pember and children Susan, Lynette, Stephen and Philip, four grand children, and four great-grand children. If you would like to honour Bernie please go to the Bernard Hughes Guest Book and leave your message of condolence.